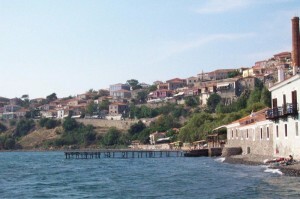 The beach of Molyvos starts shortly after the Harbor and extends up to the Olive Press Hotel. It is an organized beach with shower baths, changing rooms and WC and has a blue flag, which is awarded every year. People can rent chairs and umbrellas. Also they can enjoy snacks, coffee, refreshments or full meals in the restaurants and café nearby. The beach has pebbles on the shore and sandy seabed. 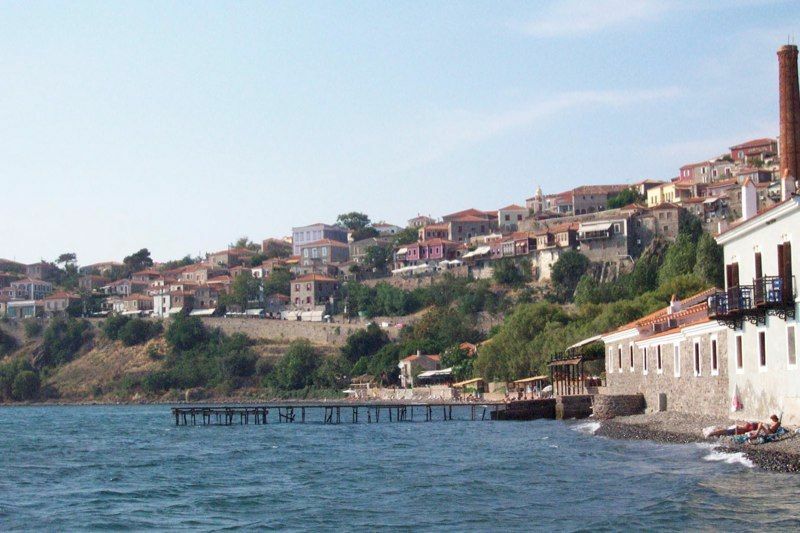 While you swim you can have a panoramic view of Molyvos settlement and the castle. After Olive Press Hotel the beach continues until you reach Delphinia hotel and even further. This part is more quiet and not so organized. Near Olive press there are well organized water sports activities.